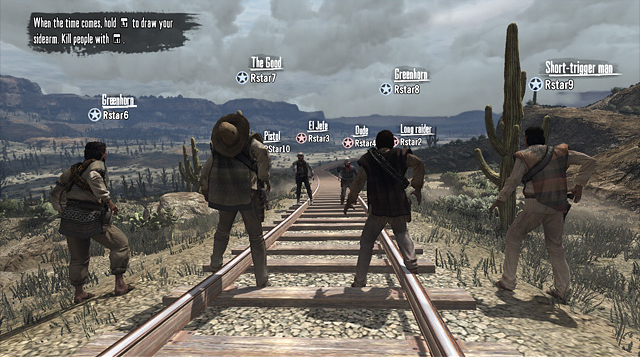 Rockstar have releases Exclusive New Red Dead Redemption Screens: Competitive Multiplayer. 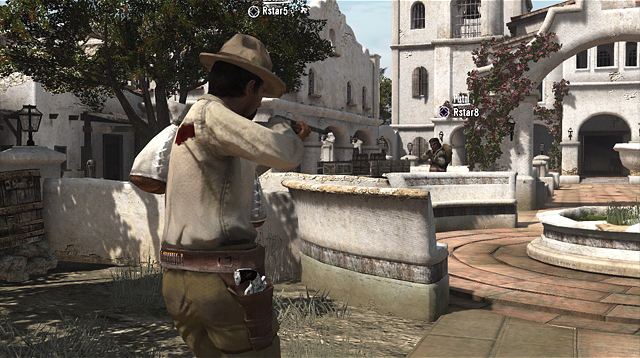 Watch below multiplayer mode screenshots. Below see some glimpses of how you'll be facing off against other players and posses online come May 18th and 21st in North America and Europe respectively. Stand-off by rifle: only one of these men will earn this bag of gold.